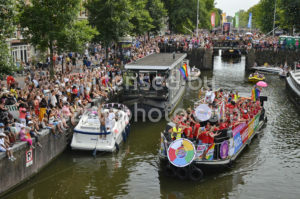 The theme includes photos shot at the Amsterdam pride event series, during the public events and the boat parade. 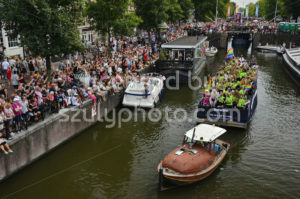 Licensed as editorial imagery, in various resolutions and under different terms. 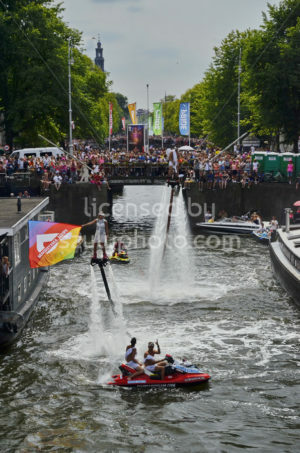 Amsterdam, Netherlands – August 4, 2018: Two flyboarders floating above the Prinsengracht canal, at the time of the Pride boat parade. 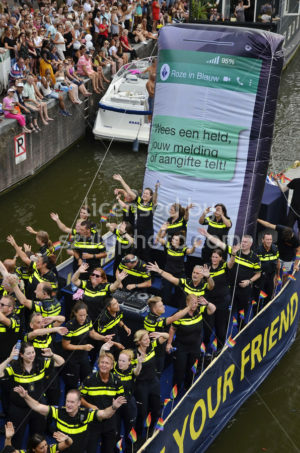 One of them is holding a Pride Amsterdam flag. 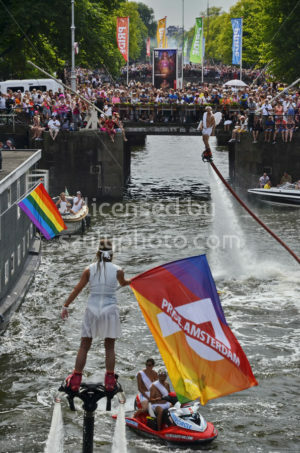 Amsterdam, Netherlands – August 4, 2018: A flyboarder is holding a Pride Amsterdam flag on the Prinsengracht canal. 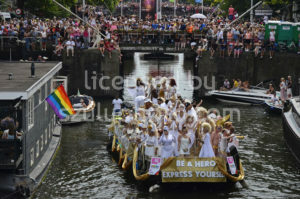 The boat parade is the last event of the Pride 2018 festival. 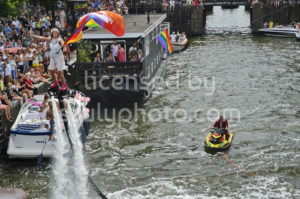 Amsterdam, Netherlands – August 4, 2018: A flyboarder is holding a Pride Amsterdam flag. 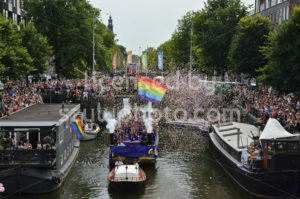 The boat parade is on the Prinsengracht canal at the time of the Pride 2018 event. 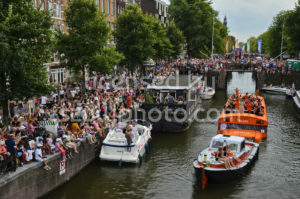 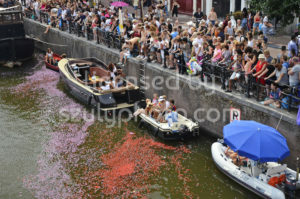 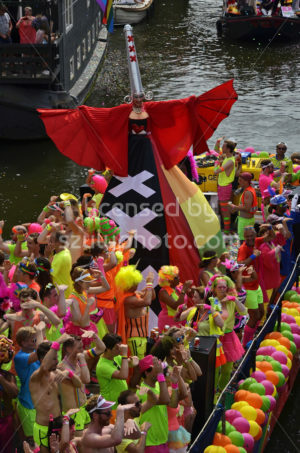 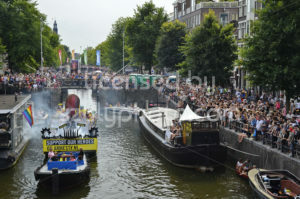 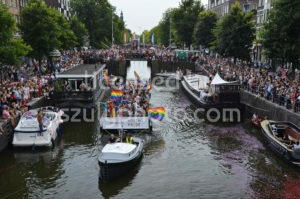 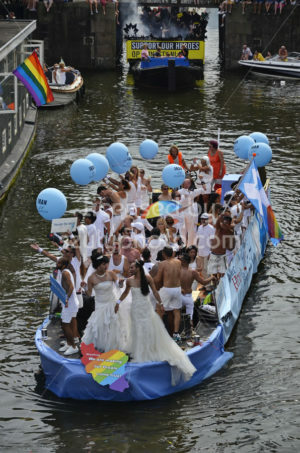 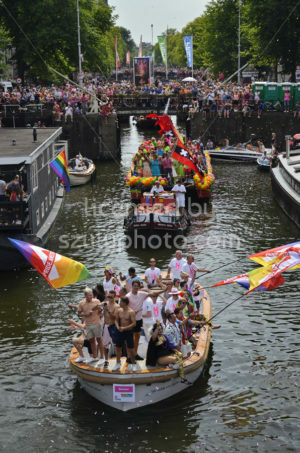 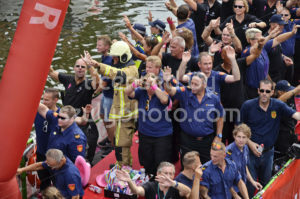 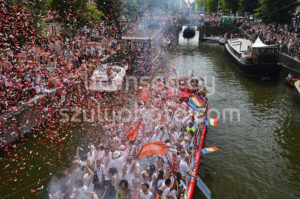 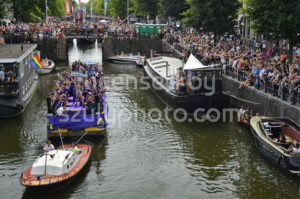 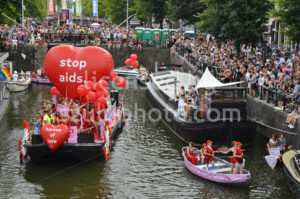 Amsterdam, Netherlands – August 4, 2018: View of the lead boat (number 0) of the Pride boat parade. 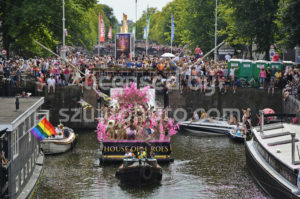 The vessel is carrying the theme slogen, “We Can Be Heroes”. 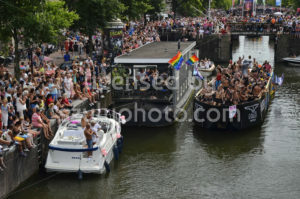 Amsterdam, Netherlands – August 4, 2018: Party people are dancing on the lead boat (number 0) at the time of the Pride boat parade. 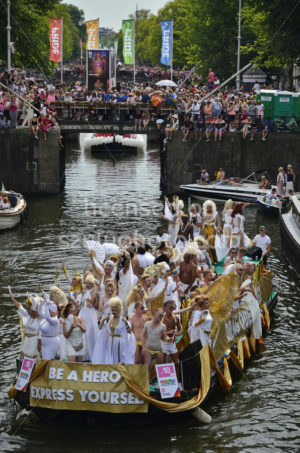 The vessel is carrying the theme slogen, “We Can Be Heroes”. 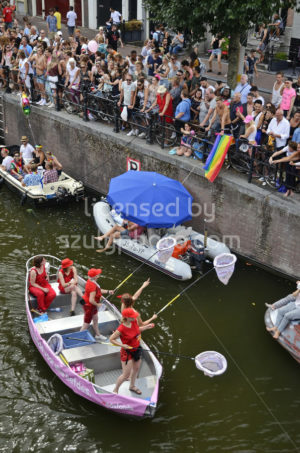 Amsterdam, Netherlands – August 4, 2018: The A.S.V. 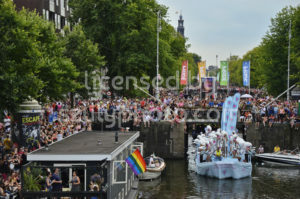 Gay boat on the Prinsengracht canal among spectators, at the time of the Pride boat parade. 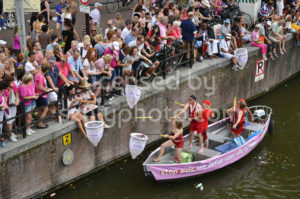 Amsterdam, Netherlands – August 4, 2018: Party people on the A.S.V. 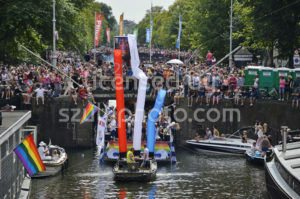 Gay boat on the Prinsengracht canal. 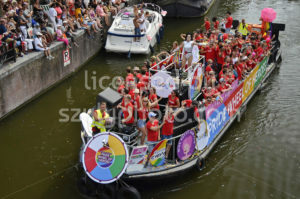 It is among spectators at the time of the Pride boat parade.